The words “happily ever after” may be the perfect ending to a fairy tale, but how often are they true in a person’s life? We all want to experience “happily ever after,” but sadly our lives are often filled with sorrow and pain. Even with great wealth and position there is disappointments and sickness. Even the “perfect marriage” is not always characterized by smiles and sweet tones of affection. The truth is that in this life, we all face hard times which don’t fit into the “happily ever after” narrative. We all face hard times which don’t fit into the 'happily ever after' narrative." When we go to funerals, we like to believe that the soul of our departed friend or family member is now enjoying “happily ever after” somewhere. Sadly, not everybody who dies is going to a better place. The Bible teaches that the soul continues on forever in either Heaven or Hell. As real as “happily ever after” in Heaven is, “unhappily ever after” in Hell is equally real. Jesus doesn’t want anybody to spend eternity in Hell, but before “happily ever after” can occur “once upon a time” must take place. "We can either accept the loving advances of God, or spurn Him." “Once upon a time” is when the story of our relationship with Jesus Christ begins. Just because Jesus died to pay for everybody’s sin, doesn’t mean that everybody is forgiven. Jesus offers the free gift of eternal life, but we must choose to accept His gift. Though He loves us, He does not force us to love Him. We can either accept the loving advances of God, or spurn Him. 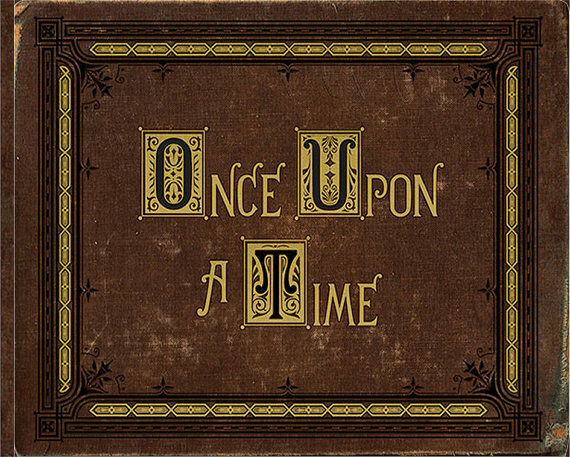 “Once upon a time” takes place when a person recognizes that he has sinned against God and that he is unable to make himself acceptable in God’s sight. He recognizes that his sin has hopelessly separated him from God and that his trajectory is headed straight for God’s eternal judgment of “unhappily ever after.” Along with the confession of his guilt, a person must recognize that in Jesus alone salvation from such an unsavory end may be found. The individual must recognize Jesus as God, and calling upon him for the forgiveness of sins, place all of his dependence upon him for that salvation. God promises that anybody who calls upon him in such a manner will have eternal life. Eternal life begins at the “once upon a time” moment of belief and results in “happily ever after” when the physical body dies. “Once upon a time” is not a gradual understanding of God or something which happens over a process of time, it is a point of time decision which an individual must make if he is to experience “happily ever after.” If you have not yet made that decision, please call me and we can look together in the Bible about how to have Jesus as your personal Savior. If you have made that decision, and are looking for a church that teaches the truth about Heaven and Hell, please call me as well.